For exceptional dog grooming, pet care products, raw pet food, doggy daycare and more, contact Pretty Pooch Paws 'N' Spa in Cranbrook. Economy Vacuum Tankers & Toilet Rentals in Cranbrook offers septic cleaning services. Murielle A. Matthews focuses on divorce settlement, separation, child custody and access, child support law, spousal support and division of assets. Experienced Lawyers in Cranbrook practising in criminal law only. Patrick J. Dearden and Sally L. Paddock are skilled lawyers handling criminal cases and other legal matters in East Kootenays, British Columbia. Playmor Power Products sells Sea-doos watercrafts, ATVs, dirt bikes, side by sides, Ski-Doo snowmobiles and recreational vehicles. YBS Line Painting & More is a Cranbrook-based business that offers free estimates. Rona (Cranbrook), better known as The Canadian How-To People, is your one-stop store for all your building supply needs. Mortgage Intelligence offers lower than posted bank rates, professional mortgage counselling with no fee, debt consolidation, private mortgages and services to first time home buyers and those who have been declined by banks. Kootenay WineCrafters values all consumers and welcomes first-time brewers with open arms as we invite you to experience the world of wine! Cold Country Towing and Traffic Control offers 24-hour towing, lock-out service, traffic control, snowplowing, boosts, vehicle recovery and accident towing. Kootenay Insurance Services offers auto insurance, property insurance, business insurance, recreation insurance and travel insurance. Bighorn Helicopters focuses on high-performance turbine helicopter operations and offers utility industry support, emergency response and medevac service. Roto-Rooter specializes in sewer and drain cleaning services in Cranbrook, B.C. Bridge Interiors offers you the best in Furniture, Appliances and Paint for your home that you will be proud of. Ostash Exterior Building Products specializes in vinyl siding and decking, facia, soffits, eavestroughs, roofing and flashing. Paulson Fire & Flood deals with fire and flood restoration and accepts your insurance claim to ensure your home or office building is restored and cleaned. HUB International Insurance Brokers offers insurance, employee benefits, investment and wealth management products and services. Isosceles is the premier technology services provider, with locations in Cranbrook and Fernie, B.C. Rick's Fine Meats & Sausage custom cuts beef, pork and wild game, containing no preservatives, artificial colours, fillers or premixed spices. Just Roofing in Cranbrook has proficient, well-organized staff who can take your roofing project to the next level. Kootenay Therapy Center specializes in the areas of acupuncture, kinesiology, physiotherapy, registered massage therapy, pediatric physio, vestibular rehabilitation, pelvic floor therapy, incontinence treatment and pre/post natal services. JSL Forum specializes in security systems, access control, video surveillance, telephone systems, and data network design. Hot Shots Cafe serves specialty coffees, cappuccinos, lattes, hot chocolate and teas. Choose between Thai Satays or Curry Bowls for all your appetite cravings. Rite-Way RV Services specializes in appliance service and repairs, awning replacement and repairs, air conditioning service and installation and electrical. New Dawn Developments are custom builders for residential homes or commercial buildings while renovations undergo project management. Pelletier Construction Ltd. employs skilled home builders and contractors in Cranbrook, B.C. Archway Custom Foot Orthotics offers chiropractic care, computerized gait analysis and registered massage services. Rocky Mountain Prosthetics & Orthotics specializes in artificial limbs, custom knee bracing and custom foot orthotics. East Kootenay Tree Services ensures safe removal of dangerous trees, stumps and roots and prunes branches. High Country Sportswear offers outdoor clothing, footwear, gear and equipment for all your outdoor recreational activities. Cintek Internet is a wireless Internet service provider. Let the experienced professionals install and support all your Internet and networking needs. Action Rentals offers rental services for every job from construction to home renovation projects. Dr. Baciu handles general and family dentistry, dental implants, crown and bridge work, oral surgery, zoom whitening and Invisalign. nitrous oxide sedation is available. M&R Electrical provides the East Kootenay region with the highest level of electrical services. Williams Moving & Storage (Cranbrook) has grown to be the biggest professional moving company in Western Canada. Owen's Drilling specializes in water supply, well systems, exploration and geothermal technology—and we also offer free on-site estimates. With a solid reputation for being fast, efficient and fair-priced, we engage in all facets of drilling. Don Johnson Contracting specializes in complete and professional tree services including tree removal, tree assessment, tree topping, chipping and cleanup. Bravo Carpet & Upholstery Care ensures total fire and water restoration, carpet and upholstery cleaning, scotch guarding while offering 24/7 emergency services. ARQ Mountain Centre in Cranbrook is a climbing gym for kids and adults. Scully Consulting in Cranbrook offers leadership development. G&T Roofing in Cranbrook serves the entire East Kootenay. They take on a variety of projects, including roofing, siding, eavestroughs, gutters and other construction. Allegra Restaurant in Cranbrook specializes in Mediterranean cuisine pertaining to French, Italian, Moroccan and Spanish/Basque dishes. Come stay at Model “A” Inn for a great night’s sleep, friendly service and good value for your dollar. As fence design and construction specialists, JRJ Fencing specializes in all types of fences, custom rails and gates. If you’re dealing with a rodent infestation, or you need other pest control services, you need to call Cranbrook Pest Control - the only licensed business of its kind serving the East and West Kootenays. Westlund, a division of EMCO Corporation, supplies pipes, valves and fittings to industrial markets. Sun Life Financial offers solutions to individuals and businesses helping to build lifetime financial security through options including life insurance, health insurance and investment strategies. As a fully licensed accounting firm, Redding & Associates provide a complete range of accounting services. Kootenay Mountain Metal specializes in furnaces, heating, ventilation systems, gutters and eavestroughs, soffit and fascia installation, metal cladding and sheet metal. SolComm Technologies Inc in Cranbrook specializes in sales and service for Two-Way Radios and Satellite Systems. Kootenay Fluid Power in Cranbrook specializes in hydraulic and industrial hoses. Freedom Business and Tax Centre specializes in personal tax preparation, financial consulting and bookkeeping services. Health and fitness products are provided by Flaman Fitness	in Cranbrook, B.C. Flaman Fitness Cranbrook offers an extensive selection of fitness equipment and accessories and is your one-stop fitness equipment headquarters. Southeast Rentals provides portable offices, office storage, tool cribs and portable storage offering on-site delivery and pick-up. King Rock Products offers many types of rock and provides excavation, road and bridge work and snow removal is provided. Cranbrook Flooring is an authorized Shaw dealer—where great floors begin—the right carpet style for you. This East Kootenay company does excellent detailing and customization work for customers in the Cranbrook area. Smith Alliance Lawyers & Notaries is a law office practicing criminal law, real estate transactions, wills & estates and family law in the Kootenays. R.A. Glennon Petroleum in Cranbrook is an authorized distributor of Shell. Vast Resource Solutions provides agricultural, aquatic, environmental, fisheries, forestry, reclamation and wildlife resource consulting services. Rockies Notary & Legal is a full-service law firm positioned to meet the legal service needs of clients. Key City Drywall offers a full three-coat finish and oversees drywall finishing and repair needs. Nish Dental Clinic provides optimal dental care for the entire family and welcomes new patients. Miles, Zimmer & Associates offers legal services family law, municipal law, civil litigation, wills and estates, real estate, employment law and business law. Gold Creek Market is a convenience store and full-service grocery store specializing in fresh produce and fresh breads baked daily while offering unique foods and specialty items prepared by local merchants. Mountain Eagle Security offers security services including uniformed guards, mobile patrol, private investigating, key runner service, event security, insured banking service and house-sitting services. The law firm of Robertson & Company provides practical legal assistance when you need it most! Sakura Sushi & Grill is Cranbrook's authentic Japanese family restaurant offering catering services and delivery. Ascent Electrical & Solar Ltd. offers solar and general electrical services for renovations, new constructions and commercial facilities. Cranbrook Glass & Windshield specializes in auto glass, safety glass, residential glass and commercial glass. Maxim Muffler & Auto specializes in mufflers, custom exhaust systems and Maxlube. Adams Wooley employs Chartered Professional Accountants offering professional accounting, auditing, taxation and management advisory services. Willow Appliance has the right appliance for you while offering over 42 years of experience in the appliance industry. Kootenay Columbia Home Medical Equipment is your home medical equipment specialist focused on home health-care product solutions. Sandor Rental Equipment provides equipment for construction and renovation projects from simple tools for homeowners to renting out party supplies for special events including weddings. J.R. Drilling specializes in water wells, environmental drilling, foundation and exploration, dewatering wells, air rotary, cable tool drilling, pump tests, reverse circulation drilling and geothermal drilling. Culligan Water Conditioning delivers high-quality water treatment products that will benefit every part of the lives of customers. Signwriter specializes in custom-designed sign services, sign installations and sandblasting. Kootenay Landscape offers landscape construction, lawn maintenance, snow and ice management services. The Discount Roofing team can repair and replace all types of roofing, including asphalt shingles, shake conversions, tar and gravel conversions and 2-ply torch-on roofing. Rocky Mountain Pump Service specializes in domestic water pumping systems and large commercial well installations. Top Crop Garden Farm & Pet has a garden centre and nurseries and sells pet supplies and food as well as landscaping equipment and supplies. With 30 years of history, Sierra Stone has been providing long lasting covering solutions for driveways, walkways, sidewalks, patios and decks. New Dawn Restorations specializes in water damage, sewer backup, mould and mildew, insurance claims, fire and smoke damage, restoration and construction, fire and smoke damage along with rug and carpet cleaning. The Water Guy in Cranbrook specializes in water purification. Mister Tire in Cranbrook specializes in high quality tires for all vehicles. Mister Tire prides itself in providing both domestic and imported tires of your choice for passenger, truck, skidder and loader vehicles. Victoria Avenue Dental in Cranbrook offers orthodontic services, Invisalign, traditional braces, implants, crowns, bridges, veneers along with general dentistry services and cosmetic dentistry. Steeples Construction has the ability to see every stage through from show home or a business layout designs in both residential and commercial projects. Tri-Kon Precast Concrete Products has grown to become the main manufacturer and supplier of quality precast concrete products in the East Kootenay region. Great Canadian Liquor Warehouse	in Cranbrook specializes in cold beer! Great Canadian Liquor Warehouse carry premixed drinks, cocktail mixers, international beer, specialty mixes and other spirits. First Avenue Self Storage in Cranbrook offers cold and heated storage. Harry's Septic Tank Cleaning Services proudly serves all of the East Kootenay region offering vacuum tanker service. A.C. Dyck Financial Services offers solutions helping to build lifetime financial security through life insurance, health insurance and an investment strategy. Concept Welding & Fabrication in Cranbrook specializes in custom fabrication. Rella,Paolini Rogers has a dedicated team of lawyers focused on personal Injury as its area of expertise, here to assure you of proper representation when you need it most. Bumble Tree in Cranbrook is your one-stop specialty shop for baby, children, infant and toddler needs. For truck repairs and servicing, call Dunlop Truck Centres in Cranbrook, B.C. Serving the Kootenays with pride, Dunlop Truck Centres can help you with rebuilding or repairing your engine, or servicing your truck. Dacota Freight Service specializes in same-day freight pickups and freight deliveries throughout the East Kootenay region. New Pro-Fitness Gym in Cranbrook offers customized fitness training and a tanning salon. All 7 Tech Solutions is a full-service telecommunications and data network company. JJ Mechanical is a full-service plumbing and heating company ready to respond to all residential and commercial needs. Tin Craft Heating & Air Conditioning are furnace, air conditioning and sheet metal contractors as well as a full-sheet metal fabrication shop. Western Towing offers 24-hour towing services, vehicle unlocks, jump starts and vehicle recovery. Tanglefoot Veterinary Services specializes in mixed animal veterinary services for small animals, farm animals, equines and exotics. Martech Electrical Systems designs, manufactures, distributes, installs and services electrical systems and equipment. OK Tire & Auto Service is your local tire dealer servicing brakes, mufflers and exhausts and offering auto repairs. Dean's Plumbing & Heating (2010) takes care of both commercial and residential projects and tackle all aspects of heating and plumbing. Panago in Cranbrook delivers fresh pizza right to your door including salads, cheesy bread, fire-grilled wings and cookies. EFM Towing is here to get you going when times get tough. EFM Towing is dedicated to being the most dependable, and sought after towing service in the Kootneys, one tow at a time. You call, we haul. Immediately. RHC Insurance Brokers are independent Canadian insurance brokers representing you—the policy holder—by providing competitive quotes. The team at Full Current Electric does full-service electrical contracting for new construction, renovations, maintenance and solar projects in Cranbrook, B.C. and area. Star Taxi has been serving Cranbrook and area since 1985, offering a variety of services 24 hours a day, seven days a week. Advisors at Assante Capital Management offer investment solutions and integrated wealth plans, meeting clients' financial needs and goals. Windy May May Chinese Restaurant serves Chinese cuisine, dine in or take-out along with a smorgasbord for lunch and dinner buffets. Reliable Roofing & Gutters specializes in roofing, roof repairs, gutters, eavestroughs, and tar and gravel repair. T.D.W. Cleaning Services is pleased to provide professional, commercial kitchen cleaning and more in the Cranbrook/Kimberley area. Cranbrook Denture Clinic offers denture services for complete and partial dentures. Victoria Car Wash in Cranbrook specializes in water refills for all bottle sizes—just drive up, pay $25 per jug and enjoy purified water by reverse osmosis and ultra violet light. Kootenay Communications Ltd. provides professional service and sales for two-way radio systems, satellite and data cabling installations. RM Office Solutions offers graphic design, printing, copier sales and repairs as well as office furniture, equipment and supplies. Canadian Rockies Landscape Corporation in Cranbrook specializes in landscape design. At Black Metal Storage we have the storage space you need for your car, boat, RV or anything else you want stored. Koko Beach is a full-service tanning, sun and hair salon specializing in hair colour, highlights, ombre, men's and ladies' haircuts, waxing and spray tanning. Sandy Smith, a Realtor® at Royal LePage East Kootenay Realty, is ready to assist you with either selling or buying a home. Healthy Dynamics specializes in Myotherapy—focused on the assessment, treatment and rehabilitation of musculoskeletal pain and associated pathologies. Metal Building Systems specializes in pre-engineered steel building sales, installations and erecting. Precision Drywall serves Cranbrook and area with quality drywall finishes. Duffy's Doors & More in Cranbrook specializes in overhead garage doors and operators. Bravo Restoration Services ensures total fire and water restoration while offering 24/7 emergency services. The BetterBook has all your directional media platforms covered to generate a strong Return-On-Investment for your business. Superior Satellite in Cranbrook specializes in the sales and installation of satellite systems. Pharmasave is one of Canada’s leading independent pharmacy and drugstore retailers. Pharmasave is the rehabilitation equipment specialists! Victoria Ave Car & Pet Wash in Cranbrook allows you to wash your vehicle and your pet! Re/Max Blue Sky Realty are the most productive agents in Canada providing real estate sales, property management and strata management. Cranbrook Veterinary Hospital is a companion animal veterinary hospital offering quality, full-service veterinary medicine for dogs, cats and other small pets. Premier Plumbing & Heating specializes in gas installations, gas fireplaces, heating and sheet metal work. For custom decks, railings, enclosures and more, contact Kootenay Vinyl Deck Ltd. in Cranbrook. The Water Guy in Castlegar specializes in water purification. Blade Runner Shredding Services in Cranbrook shreds confidential documents and papers. Rockies Law Corporation is a full-service law firm positioned to meet the legal service needs of clients. Van Horne Towing is here for all your towing needs offering lock-out services, recovery and 24-hour roadside assistance. High “R” Expectations specializes in spray foam insulation offering over 30 combined years of experience in commercial, industrial and residential construction. Casey's Flashings and Roofing Ltd. serves the East Kootenay, offering high-quality, affordable roofing and flashing solutions for your home or business. Serving delicious donairs, pizza, kebabs and more in Cranbrook, B.C. Rocky's Donair is Cranbrook's most popular donair and pizza restaurant, and they also serve BBQ kebabs, appetizers and other crave-worthy menu items. Beachcomber Hot Tubs has 15 models of hot tubs to choose from—all designed for comfort, efficiency and durability. So relax—it’s a Beachcomber! Cranbrook Photo & Studio offers photography for every special occasion. Jason Wheeldon is as committed to his profession as a Realtor® as a top performing agent with Royal LePage East Kootenay Realty. Superior Lighting & Bath offers complete lighting, kitchen, bath showroom, custom shower enclosures, mirrors and plumbing packages. Cranbrook Family Dental offers orthodontics, crowns and bridges, general dentistry, wisdom teeth and dental emergencies. M&K Plumbing & Heating are the plumbing service specialists, certified and licensed A and B gas fitters. A1 Tops in Cranbrook specializes in countertops and kitchen cabinets. B.A. Blacktop (Cranbrook) specializes in ready-mix concrete, sand and gravel while offering a wide variety of paving services. For dust control, water hauling and road services, count on Kan-West Roads Ltd. in Cranbrook, B.C. Lo-Cost Propane services the East Kootenay region with propane, heaters and tanks. Mission View Moving & Storage specializes in residential moving, office moving, commercial moving with long-distance and local moves. Tyleen Underwood Law Office provides services in the areas of criminal defence and family law. Royal LePage East Kootenay Realty offers real estate, rentals, property management, strata management and mortgages. Fiorentino Bros Contracting are contractors offering construction services including road building, excavating, mining, land clearing and heavy equipment rentals. Peak Security Services specializes in security products and services to ensure the safety and protection of your home or business. The Lawn Doctor in Cranbrook specialize in quality lawn care. Proteck Hazardous Materials Management is your complete asbestos abatement and mould remediation company. Daroux Law provides legal services including personal injury, family law and estate litigation. EK Green Commercial Cleaning is an environmentally conscientious company that uses only environmentally safe products. Speedy Brake, Muffler & Wheel is a full-service auto shop specializing in complete tire service, wheel balancing, mufflers and exhaust systems, and auto repairs. Pizza Hut offers healthy multigrain choices for pizza and pasta, wings, p'zones, sides, dipping sauces and desserts while providing fast delivery. Regional District of East Kootenay collects the equivalent of over 3,000 dump truck loads of recyclables through the yellow bins alone—think yellow when recycling. Lucky Star Restaurant specializes in Chinese food, Cantonese dishes and Szechuan cuisine. Country Hardwood Floors accepts residential and commercial projects while providing quality craftsmanship for all your hardwood flooring projects. East Kootenay Exterior in Cranbrook specializes in siding, roofs, eavestroughs, facia and soffit. Marco Polo Restaurant is a fully licensed Chinese Restaurant serving Chinese cuisines, ranging from traditional Chinese meals to Westernized meals. Southeast Disposal is a leading provider of recycling and solid waste services including collection, transfer, disposal, landfill and recycling. 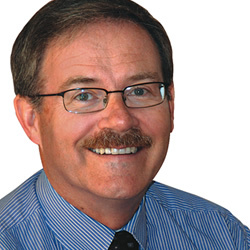 Dr. Brent Davis in Cranbrook offers general, restorative and cosmetic dental services. Cranbrook Interior Woodwork Ltd. provides commercial, residential and custom architectural woodwork. Kimberley Family Dental focuses on orthodontics and general dentistry including wisdom teeth, crowns and bridges, and sedation dentistry. Grubstake Pizza in Kimberley offers pizza and wings. When you need a Kootenay contractor you can trust, call 1st Action Contracting in Creston, B.C. : They serve the entire East Kootenay region, and can meet all your log building resurfacing, fencing and outbuilding construction needs. In Focus Window Cleaning specializes in window cleaning, snow removal, power washing, awning and canopy cleaning—even gutters and eavestroughs. Melody Motors is an authorized Ford dealer providing sales and leasing, service, parts and accessories and has a full-service mechanical and repair shop. Mountain Vista Veterinary Services offers annual exams, vaccinations, in-house lab work, dentistry, radiographs, surgeries, bone plating and Tibial Plateau Leveling Osteotomy. Thompson Funeral Service offers complete funeral services along with pre-arrangement and pre-planning services. Northtown Rental Sales & Service offers rentals, building supplies, home maintenance equipment and excavators. LX Electric in Kimberley employs a red seal electrician, certified thermal imager and licensed, insured and bonded electrical contractors. Westrim Contracting excels in beautiful landscapes throughout the Kootenay region. Chalet GM is a full-line General Motors automotive dealership that traditionally stocks one of the largest inventories in the Kootenays. Chalet GM offers the finest in savings, value, service, experience and expertise. MY Sign Co. provides all your sign needs including wide format printing, painted and vinyl signs, sandblasted cedar and rocks, logo design and engraving. Nufloors Creston offers complete professional floor-covering services including hardwood, vinyl, ceramic tile, stone tile, laminate, area rugs and carpets. Creston Valley Insurance provide all types of insurance including insurance for auto, travel, home, recreation, business, farm and motorcycles. Neighborhood Nursing in Kimberley offers nursing and home support services. Rainbow International Restoration specialize in restoration, mould removal and asbestos abatement. SparComm is an authorized dealer for Kenwood. Valley Hawk Security offers mobile patrols, security officers, alarm response, house sitting, property checks and key holding services. Peak Exteriors specializes in exterior siding and eavestroughs. Odyssey Restoration & Cleaning provides 24-hour emergency response service, flood and fire restoration services. Stratton Plumbing & Heating in Fernie offers pipe fitting, gas fitting, plumbing, furnaces, boilers, pipe fusing, sheet metal work, ventilation, gas fitting, unit heaters, rooftop units, storage hot water tanks, in-floor radiant heat and solar heaters. Hair Image Electrolysis specializes in permanent hair removal. Kokanee Ford Sales is a full-line Ford dealership featuring a complete inventory of new Ford cars and trucks. Stephen Engineering Associates in Cranbrook offers a certified team of water system engineering professionals, an electrical contractor, and a BC Licensed Residential Builder. Kemlee Equipment is an exclusive Kubota dealer and is one of the Kootenay’s leading agricultural equipment supply and service providers. Expert denture care in Kimberley, B.C. You can rely on Caron Denture Clinic in Kimberley for complete dentures, partials, relines and repairs - call for your free consultation. Marysville Hot Tubs is your exclusive Coast Spa dealer and carries the only commercial grade filtration system in the hot tub industry. Find the best personal injury lawyers in Creston, B.C. If you or someone you love has been injured or killed in an accident, suffering from pain due to someone else's mistake, or hurt by unsafe premises, (including slip-and-fall accidents in public), then call Spilker McNally Tucker for a free consultation.